Virtual reality has a place in the tourism industry; stakeholders around the world are realizing this fact and integrating it into their customers’ purchasing experience. In this way, the Australian Tourism Office is offering a 360° video via its YouTube channel allowing people to take a virtual tour of the country and New Caledonia has set up a web-based virtual game. As far as travel agencies are concerned, since 2016, Cub Med has been offering the possibility of watching 360° videos of its destinations and “Prêt à Partir” is even testing virtual reality headsets at the moment. The e-commerce giant Expedia, meanwhile, has launched many initiatives, by partnering with various companies, including virtual tours of hotels via an app, a 360° video (Virtual Flam) and even a virtual visit of San Antonio via a 360° video. Virtual reality in tourism is becoming more and more common and each VR solution has a specific role based on its intended end-use. 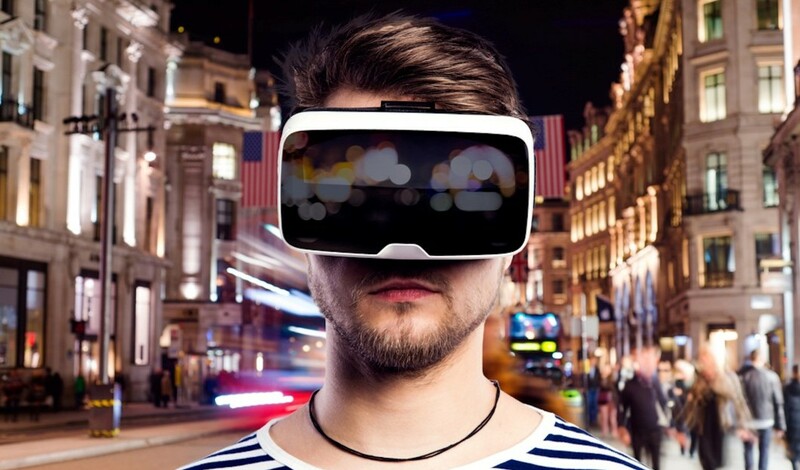 In order to allow their clients to choose a hotel based on virtual reality, Mariott is offering The Teleporter, 360° videos available on YouTube, Google Earth VR as well as Samsung Travrer, a virtual tourism platform first introduced at MWC (Mobile World Congress) 2017. Amadeus has developed a futuristic search and reservations system based on VR via its Navitaire subsidiary. Austrian Airlines allows clients to get a 360° glimpse of the interior of its aircraft thanks to myPanorama and the SNCF is currently developing a Proof of Concept VR application to help travelers prepare their journeys. The virtual reality and 360° videos are being used in the tourism industry at every stage – from inspiration to final purchase. At the same time, VR is becoming an increasingly prevalent part of actual travel – as entertainment (example: SkyLights). While virtual reality in tourism has become an important part of the marketing strategy of many brands, some companies are still investing in the “real” by mixing it with virtual reality (example: King of Vikings). VR still has a lot of untapped potential for promoting and enriching the customer experience.